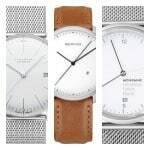 Hey everyone, today I thought it would be fun to take a look at some of the best budget watches for men. Obviously everyone’s budgets vary. Think best watches under £100 for the most part, obviously some watches can go over this limit if they offer great value for money. 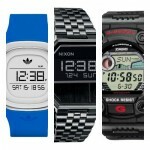 So here it is, our latest take on the most popular affordable watches for men that are currently available. 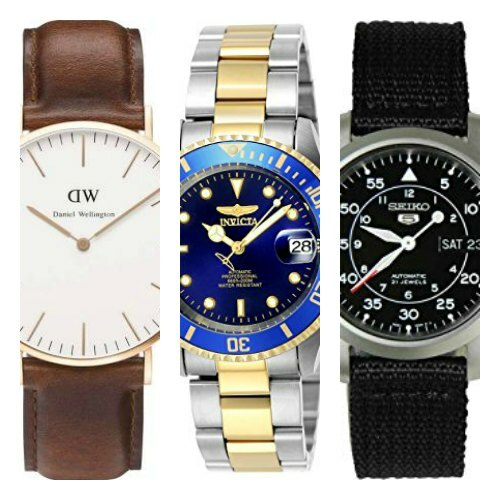 As always let me know what your favourite cheap men’s watch was in the comments section below. Ah yes, it wouldn’t be a look at the most popular budget watches without including THE budget watch. The Casio F-91 and all it’s colourful variations makes it into this list of the best budget watches simply because it is one of the most popular top sellers ever. You’ll often find this top of many best selling lists. It’s super low price and multi feature design make this watch a very popular choice for those who are just after something simple that doesn’t cost the world. Up next in our look at the most popular budget watches for men is this affordable Invicta 8928OB. 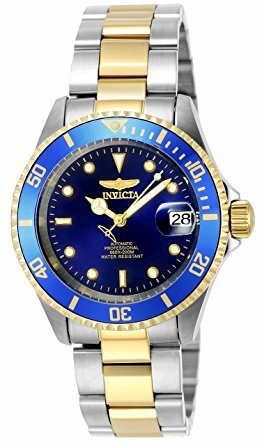 This is a top selling timepiece from Invicta’s Pro Diver collection. It features an automatic movement that can be viewed through the rear exhibition style caseback (one of my favourite features). It also has a very good 200m water resistance rating, undirectional bezel, and luminous hands and hour markers for easier reading in dim lit conditions. This is a great choice for people who want a watch that has that luxury look to it, this blue and gold coloured finish with the coin edged bezel goes a long way to achieving this. And of course it’s a very affordable watch. Invicta are of course one of those marmite brands that some people love, and some people don’t. I’m in the love it court, simply for taking the parts and price as well as design into consideration. 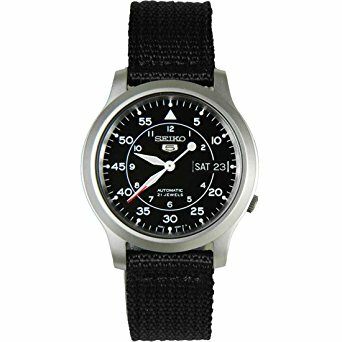 Again, it wouldn’t be a list of the most popular affordable watches without mentioning the Seiko SNK809. This is one of Seiko’s most popular affordable watches. There are a few variations available in different colours, so if this isn’t quite your taste, you can also pick a variation of it. The Seiko SNK809 or SNK809K2 as it’s also occasionally known is part of the Seiko 5 series. A selection of watches that aims to make high quality automatic watches affordable. This model features a exhibition style caseback that allows you to take a look at the inner workings of the watch through the rear casing. To learn a lot more about this timepiece you should read my SNK809 Seiko 5 review. 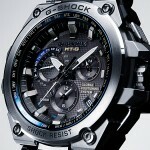 The next top budget watch I have to show you is from Casio’s G-Shock collection. These are built to be highly functional durable watches that are perfect for those with an active lifestyle that require something a little more sturdy than your standard watch. 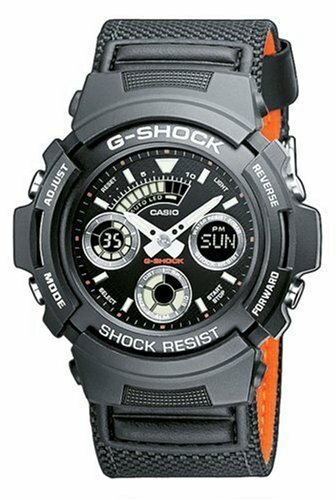 This affordable G-Shock watch has features including a stop watch, multi time zone, countdown timer, and alarm. It has a protective scratch and knock resistant mineral crystal glass which is ideal for this type of timepiece. Note that the more expensive sapphire glass isn’t used as it’s more susceptible to shattering. To top it off, the watch also features a handy 200m water resistance rating. 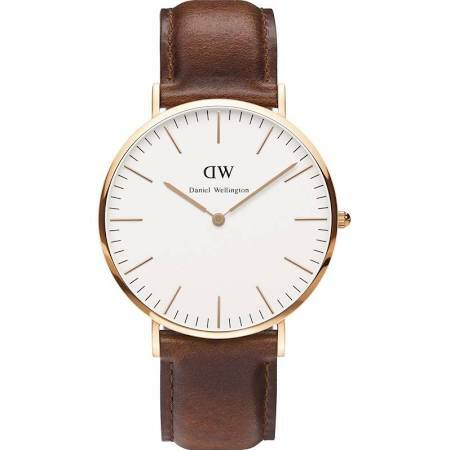 Here we have a best selling watch from Daniel Wellington. If you’re looking for affordable minimalist watches, then Daniel Wellington is a popular direction to go. They’ve grown to become one of the go to affordable brands which is good and bad at the same time, you run the risk of meeting multiple when you’re out who could possibly be wearing a very similar watch to you, shock horror right? The Daniel Wellington St Mawes has a 40mm casing with is finished with a rose gold PVD plating which goes nicely with the genuine leather strap. There’s no second hand, this is a common feature in minimalist watches. Next up in our list of the best budget watches for men is this beautiful looking Fossil timepiece. 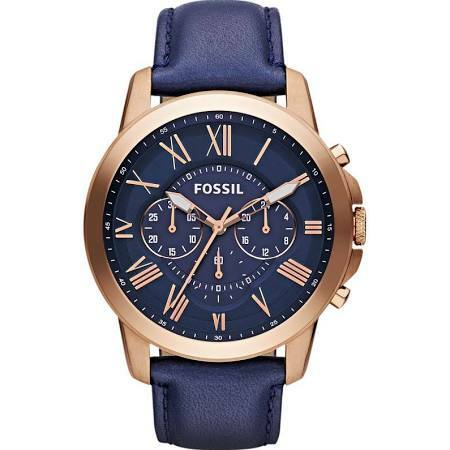 Fossil are another one of the big go to brands for affordable watches. They’re well built with a huge selection available that offer good value for money in my opinion. I love the colour on this Fossil watch. The blue genuine leather strap and dial go wonderfully with the rose gold PVD finish of the casing. The watch runs on a quartz movement with chronograph timekeeping. At 44mm it’s a decent larger size that I’m aware many men are looking for at the moment. As for the water resistance rating, it’s 50m, not too bad considering the style of watch. If you’re looking for a super cheap watch, then you could consider this Mudder timepiece. It’s a mass produced watch that brands can stick their label on, which is why you’ll spot very similar watches with different brand names. That being said, if you’re after a cheap throw away if need be watch, then definitely consider it. It’s one of the most popular selling affordable watches, obviously due to its price. It features this large digital display that’s hard to miss to be fair. 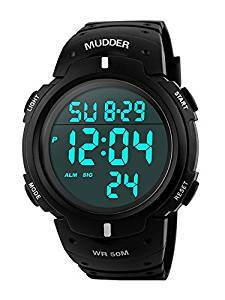 The Mudder runs on a Japanese quartz movement and has a 50m water resistance rating. Are you after an affordable designer watch? Then one of the most popular brands to go for is Emporio Armani. They have a nice selection of fairly affordable watches available, that of course depends on your perception of affordable. 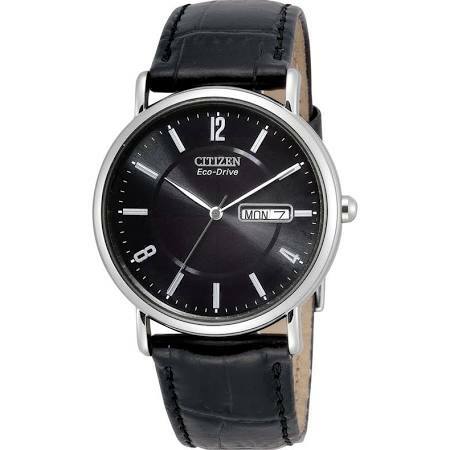 This is a nice looking stylish designer watch with a genuine black leather strap. It runs on a reliable Japanese quartz movement and has a 50m water resistance rating. 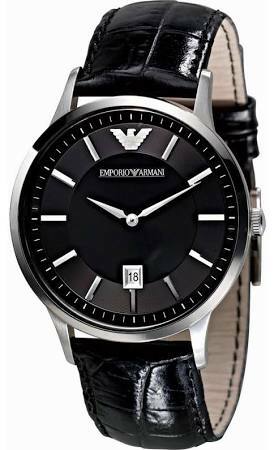 This affordable Armani watch is ideal for both smart or casual occasions. 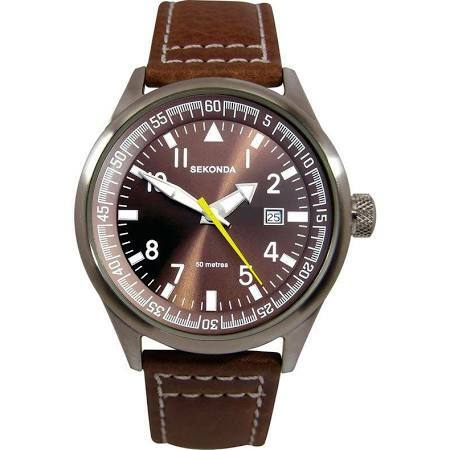 Here we have another popular cheap watch, this time from Sekonda. 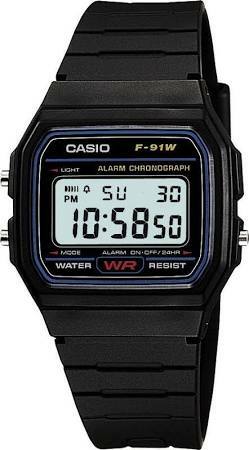 It’s one of the best selling cheap watches that can be found in most online watch shops. The watch is simple and to the point, offering all the basic features most people require. The Sekonda 3882 features a nice larger 42mm casing with a bold easy to read high visibility dial. The hands and hour markers are coated with lume for easier reading in dim lit conditions. I also like the use of the yellow seconds hand to add a nice touch of colour to the design. The watch runs on a accurate and reliable quartz movement and has a 50m water resistance rating. Not bad for a watch from a well recognised brand that’s extremely affordable. The last watch in our cheap budget watches list is this smart looking Citizen Eco-Drive timepiece. It would be silly to do a list of the most popular affordable watches and miss out the chance to include an Eco-Drive watch. These are powered by light, be it natural or artificial, and never require a battery. The technology proved so popular that now the majority of new Citizen watches come with it as standard. This Citizen Eco-Drive watch has a popular smart finish to it, the dial is protected by a mineral crystal glass that offers a good level of scratch resistance. It comes with a basic 30m water resistance rating and has a nice genuine leather strap. Thanks for taking the time to check out today’s post on the best budget watches for men. I think there was a good selection of styles and designs which should hopefully give people a bit of an idea what brand to go for depending on their budget.